Conductor Benjamin Grow, currently in his inaugural season as Music Director of the Young Artists Philharmonic, has worked with a wide array of ensembles in New York City and serves as Music Director/Principal Conductor of Chelsea Opera and Co-Director/Associate Conductor of the sinfonietta Ensemble Échappé. As music director of Tom Cipullo’s acclaimed opera, Glory Denied, in 2015 at the Prince Theater in Philadelphia, Grow “expertly coached the singers and led the orchestra” (Broad Street Review), and his “fine detailing delivered the ferocious power of this score” (Huffington Post), in what The Philadelphia Inquirer said was the “most unforgettable opera” of the year. He conducted studio recordings and workshops for Opera Philadelphia in works by their former Composer-in-Residence, Lembit Beecher. 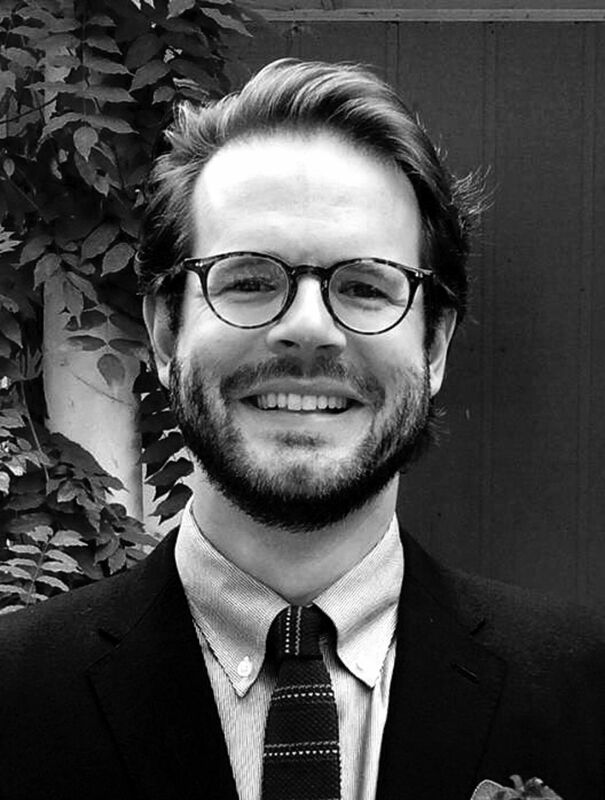 Grow has participated in masterclasses with Kurt Masur and Larry Rachleff, and in 2015, he won the International Conducting Workshop and Competition in Atlanta, GA.
Mr. Grow has been guest conductor at the Manhattan School of Music, assistant conductor at The Juilliard School, and currently conducts the chamber orchestra at Berkshire Summer Music. For several years, Mr. Grow co-presented an annual lecture at the 92nd Street Y, “The Physics of Music,” as part of their Mysteries of Science series, and has given pre-concert talks at the Museum of Biblical Art. He received his Bachelor of Music from the Shepherd School of Music at Rice University, and his Master of Music at the Manhattan School of Music. Darwin Shen has been performing as a soloist in concert halls and with ensembles and orchestras all over the United States for over twenty years. Although he continues to perform much of the standard violin repertoire of concertos, sonatas and short pieces, in recent years he has specialized in resurrecting lost or rarely performed works of the late 19thand early 20th centuries. He has been sought after by other artists and musicians as an expert in these works, and his most recent projects in this area have been published online. Most recently, Darwin reconstructed the 1940’s Heifetz arrangement of Irving Berlin’s White Christmas and rare pieces by Leopold Auer and John Crowther, and published his work online in video format. All were highlighted by violinist.com. Darwin is currently working on a number of similar projects. In addition to his performance schedule, Darwin maintains a teaching studio for pre-college students in the New York metropolitan area. His students have gone on to study at many of the major music conservatories and colleges in the United States. Darwin is also the founder and executive director of the Violin Audition Prep Program, an annual, intensive program which is designed to teach young musicians how to approach and perform in auditions of all types, including for college and conservatory admissions and orchestra placements. He also works with student orchestras and school music programs as a guest teacher, helping students work through intensive rehearsals or difficult pieces. Darwin studied violin with Paul Kantor, Kyung Yu and Yuval Waldman. He also has a BA degree in History from Manhattanville College. American conductor Gregory Robbins enjoys a diverse career as a performer, educator, and arts administrator. In the world of education, he was the director of educational outreach at the Geneva Music Festival from 2011-2016, and is currently in his sixth season with the Young Artists Philharmonic. He has guest conducted numerous youth, secondary, and collegiate ensembles including the Idyllwild Arts Academy Orchestra, Norwalk Youth Symphony, NYU Symphony, and NY State Summer School of the Arts Orchestra. In the world of performance, Mr. Robbins is in demand as a conductor and bassist, serving as associate conductor of the Greater Bridgeport Symphony from 2014-16, and making numerous guest conducting appearances in the U.S. and Europe. Highlights of his 2017/18 season include conducting debuts with the Redlands Symphony Orchestra, and a performance with John Cale and the Wordless Music Orchestra which gained wide acclaim from The New York Times, Rolling Stone, and The New Yorker. Mr. Robbins holds degrees in classical music performance from Manhattan School of Music and Yale School of Music. In the world of film and tv, he is the “conducting coach” for Gael Garcia Bernal, star of Amazon’s hit Mozart in the Jungle series. Sharon Levin has performed in Brazil, Costa Rica, Ecuador, France, Switzerland, Germany, Israel, and the U.S.A. She has appeared at Weill Recital Hall at Carnegie Hall, NYC in 1988, 1989, (1991 at Merkin Concert Hall), 1996, 2000, 2002 and 2008 performing solos and chamber music. She has appeared on national television in Brazil, Costa Rica and Ecuador and has been interviewed and performed on New York’s WQXR radio with harpist, Karen Stern. Sharon Levin has won awards from Artists International in 1988, 1989 and 1991 with harpist, Karen Stern and in 1996 as a soloist. She has performed as a concerto soloist in Brazil, Ecuador, France, Connecticut and New Jersey. Since 1988 she was the principal Flutist with the New Jersey Pops Symphony Orchestra until they dissolved in 2002. Ms. Levin has a Master’s Degree from Manhattan School of Music and prior to that she studied in Paris, France where she was awarded the “Certificat de Musique de Chambre” from the Ecole Normale de Musique. She holds a Bachelor of Arts Degree from Sarah Lawrence College in Bronxville, NY. She has given several Master Classes in Spanish in Costa Rica and Ecuador, and has translated for Master Classes in Costa Rica for other flute Artists. In August of 2005 Ms. Levin gave a lecture/performance on Ecuadorian Mestizo Music at the National Flute Association Convention in San Diego. In 2006 she published Ecuadorian Mestizo Music for Flute and Piano. Violinist Emily Uematsu enjoys a varied career as a soloist, chamber musician, and orchestral musician. She has won numerous awards and competitions, performed in prestigious venues around the United States and Europe, and has collaborated with distinguished artists such as Joseph Silverstein, Ani Kavafian, and Alexander Kerr. Most recently, she was a finalist in the 2017 Gershwin International Music Competition and the winner of the 2017 Parnassus Society award. 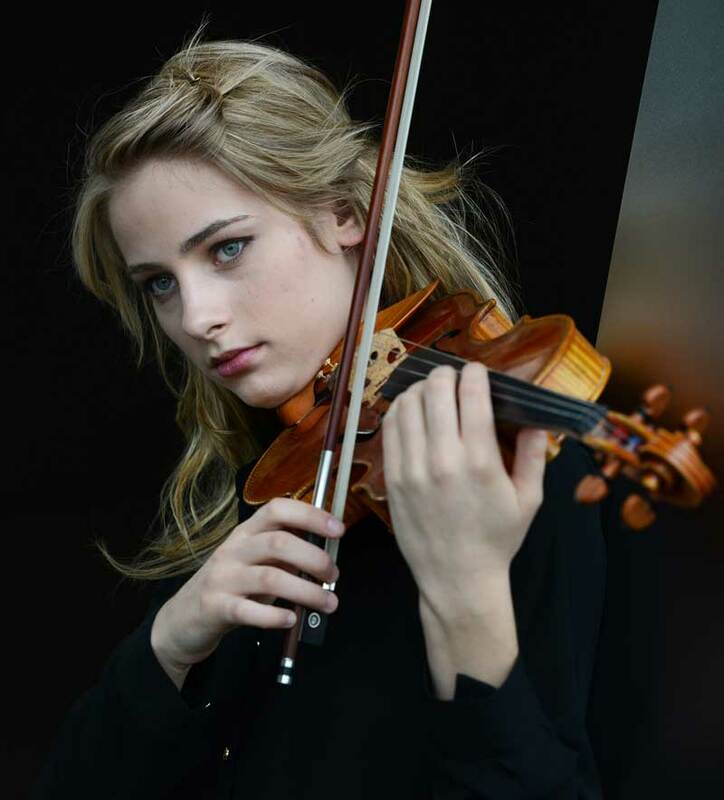 She won a section violin position with the New Haven Symphony in 2016. In 2014, Emily gave her debut New York Recital at Steinway Hall, sponsored by the Jascha Heifetz Society. Emily graduated from the Juilliard School Pre-College Division, completed her B.M. at Chapman University, and earned her Master of Music from the Shepherd School of Music at Rice University in May 2016 as the recipient of the Itzhak Perlman Endowed Scholarship. Major teachers include Paul Kantor, William Fitzpatrick, Stephen Clapp, Catherine Cho, and Ray Iwazumi. Described by Itzhak Perlman as an “inspired musician bursting with talent,” Mariella Haubs’ musical journey has brought her to over thirty countries in Europe, North America, Asia and the Middle East. She has performed in venues such as the Wiener Musikverein in Vienna, Carnegie Hall in New York, and numerous philharmonic halls around the world. In 2014, Mariella performed at the United Nations General Assembly at the invitation of Barack and Michelle Obama. Her chamber music collaborators include artists such as Joshua Bell, Lang Lang and Itzhak Perlman. Former concertmaster of the Juilliard Orchestra, Mariella has worked with many conductors including Alan Gilbert, Kurt Masur and Michael Tilson Thomas. Mariella holds Bachelor’s and Master’s degrees from The Juilliard School, where she studied as a Kovner Fellow with Itzhak Perlman and Catherine Cho. She is also an alumna of The Perlman Music Program and the National YoungArts Foundation. A firm believer in the impact and importance of the arts, Mariella is the co-founder of “Concerts for Compassion,” a project designed to promote racial reconciliation between cultures and to bring music to refugee communities around the world. Cellist Claire Marie Solomon is an avid solo, chamber and orchestral musician. She also has a passion for academic subjects, and earned a Bachelor of Arts degree from Yale University in 2014 while studying the cello with Ole Akahoshi. 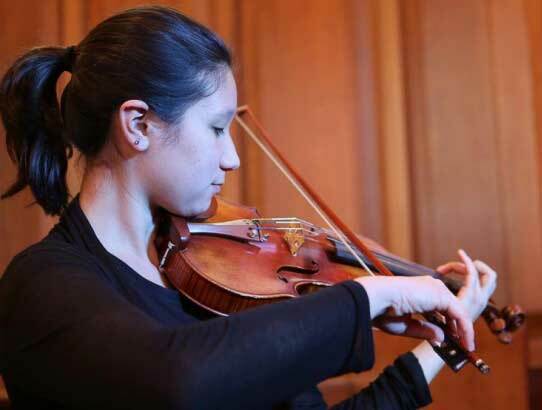 After completing her undergraduate degree, Ms. Solomon attended the Jacobs School of Music at Indiana University, studying privately with Eric Kim and receiving chamber music instruction from the members of the Pacifica Quartet. Ms. Solomon won the Jacobs School’s 2017 Cello Concerto Competition, culminating in a performance of the Saint-Saëns Cello Concerto No. 1 with the IU Philharmonic. Since graduating, she has formed a trio with flutist Carol Wincenc and harpist Nancy Allen. She recently toured the US with the Weimar Staatskapelle from Germany, performing major orchestral works in cities along the east coast under the baton of Kirill Karabits. Solomon is a regular participant in the Aspen Music Festival and a School summer program. She has studied privately with Richard Aaron, Alan Harris, Eric Bartlett and Wolfram Koessel, among others, and has played in masterclasses for Carter Brey, Karen Dreyfuss, Lynn Harrell, and Ani Kavafian, among others. Ms. Solomon resides in Westchester, NY, where she currently maintains a private cello studio. 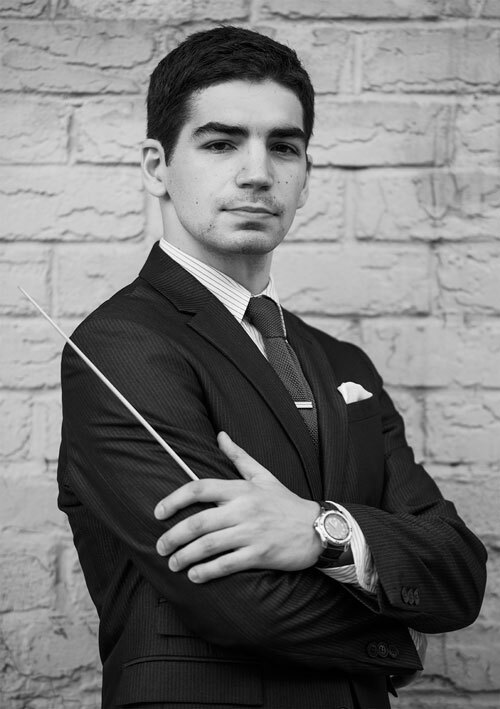 Joshua Bavaro is currently in his 8th Season with as the Assistant Conductor with the Greenwich Symphony. He has previously served as Music Director of Music at the Gate, Associate Conductor of Maryland Lyric Opera and New York Opera Exchange, and Assistant Conductor for Eugene Opera and the Piedmont Symphony. Dr. Bavaro has performed internationally in Italy, Argentina, Canada, and most recently in Mexico leading the Sonora Philharmonic Orchestra in the opening and closing concerts of the 2016 Alfonso Ortiz Tirado Festival; where he lead a concert of opera arias and a nationally televised performance of Carl Orff’s Carmina Burana. As an opera conductor, Dr. Bavaro has worked on productions of Rigoletto, Falstaff, Lucia di Lammermoor, Romeo et Juliette, Carmen, Don Giovanni, Aida, Dialogues des Carmélites, Die Fledermaus, Der Schauspieldirektor, Amahl and the Night Visitors, A Midsummer Night’s Dream, Turn of the Screw, and Susannah, as well as a number of new works. Dr. Bavaro completed his Doctoral studies at The Catholic University of America in 2017 under the tutelage of Murry Sidlin. He holds his Master of Music and Bachelor of Music degrees from Manhattan School of Music.